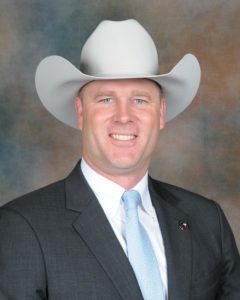 As Chief of the Texas Rangers Division of Texas DPS, I’d like to welcome you to the Internet site of the Texas Ranger Hall of Fame and Museum — the Official State Museum, Hall of Fame and Repository for the Texas Rangers. We are honored by your interest. This site provides information about our agency and its heritage of service. The Rangers have protected the people of Texas since 1823, when colonizer Stephen F. Austin called for men to “Range” the frontier. The modern Texas Rangers are an investigative division of the Texas Department of Public Safety. The 172 Rangers authorized by the Texas Legislature are posted across Texas in six companies with headquarters in Houston, Garland, Lubbock, Weslaco, El Paso, and Waco/San Antonio with an administrative headquarters office in Austin. The Rangers have been called one of the most effective investigative law enforcement agencies in the world. These highly motivated men and women, selected from many outstanding candidates, take pride in the colorful traditions they have inherited and the modern challenges they face. As living symbols of a unique heritage, they wear the boots, white hats and pistol belts of their predecessors. As elite law enforcement officers of the 21st century, they have added college degrees, networked computers, cell phones and state-of-the-art forensic analyses. The Texas Rangers are a heritage to be valued and a symbol of service for future generations. The Texas Ranger Hall of Fame in Waco is a cooperative project of the Texas Department of Public Safety, the Texas Rangers and the City of Waco. It preserves and interprets a unique heritage of service spanning three centuries. We hope you will visit the next time you are in Waco.